Customers don’t flock to any business simply because they have the best products. The customer of today is more concerned over the experience they receive. Successful brands are able to make customers associate with these brands on a deeper level. It’s no longer about your product features and how they are more sophisticated than your competitors, customers buy depending on their emotions. It’s the same reason why people will choose to pay extra for coffee at Starbucks rather than go to a cheaper coffee shop down the road and the reason why South Africans will queue to get their own cup at newly-opened stores. It’s all thanks to brand awareness. In this blog we’ll show you how to leverage it to your advantage. Each brand has their own personality that helps customers distinguish them. Coca-Cola are all about happiness, Nike about taking the leap and Virgin Atlantic Airlines: fun with purpose. 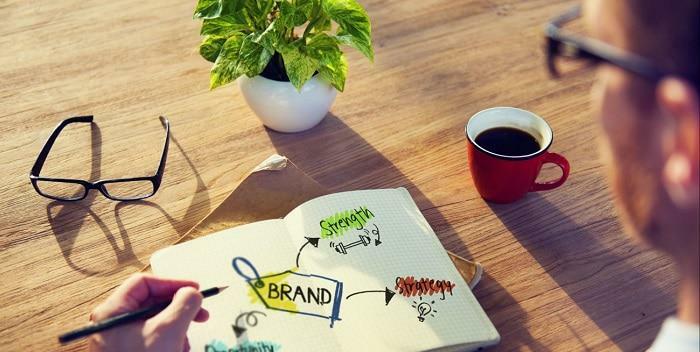 Any popular brand you can think of has carved out a dynamic niche in their market, but to try and copy it exactly would back-fire because customers will see right through it – authenticity is the key when it comes to creating a memorable brand. Humans are complicated, but what remains true is that we are driven by emotion and brands that understand how to use this to their advantage without ‘tricking’ the customer, come out on top. Tugging at your customers’ heart strings will help build brand loyalty and out of that, increased revenue, because it’ll be easier to generate sales when you have strong customer satisfaction backing your company. So, how do you connect with your customers? By giving them what they want. The new customer wants relevant information, at the right time. Produce a steady stream of good content and they will be begging for more. It doesn’t matter the form you choose to send out your messages, be it a blog, print advert or face-to-face encounter, you need to show off your brand’s personality at each touch-point. Simply put, if you have a strong brand presence you can set higher prices which will generate a favourable profitability. Remember we mentioned overpriced coffee earlier in the blog? That’s what we meant. People are willing to pay for Starbucks coffee because coffee is not only what they receive, they also pay for the experience. A loyal customer base also produces brand ambassadors who are more than willing to defend your brand’s honour (so to speak). Not only that, it also creates instances where customers are willing to speak up about improvements they think the business can benefit from. Instead of keeping it to themselves they will voice recommendations, therefore allowing your business the opportunity to rectify a situation before it causes irreparable damage to your brand reputation. They will do this because they respect the brand and want to see it flourish. To help build your brand awareness you can continually advertise with us like so many brands already do.